When Japan finally ended the period of isolation and the Port of Yokohama opened to foreign trade in 1859, the foreigner's settlement was initially confined to a low-lying area known as Kannai. As commercial activity in the Kannai settlement rapidly outgrew the available space, starting in 1862 Chinese made themselves a Chinatown and Westerners took up in the hills of the Yamate area, which was also called "The Bluff". 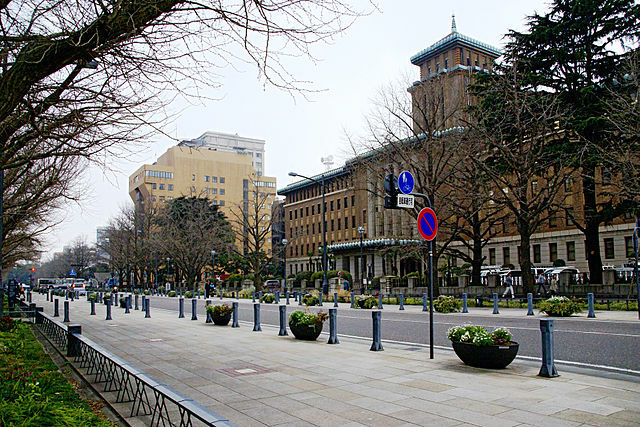 The Yamate initially a residential area for the foreign diplomatic community retains a number of sites relating to its history. Although many of the original foreign resident's accommodation and civic buildings were destroyed in the 1923 Great Kanto Earthquake, a number of older Meiji and Taisho Period properties have been preserved and relocated to this neighborhood. British diplomatic and commercial interests were protected by a troop garrison stationed at Yamate at the crest of the hill overlooking the harbor, a location that now serves as Harbor View Park. ​Yamate has a number of parks within walking distance from each other. 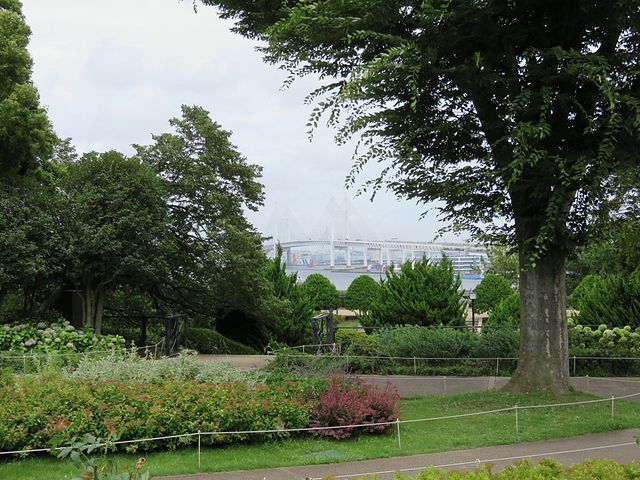 The largest is the Harbor View Park overlooking Yokohama Port. Situated in-between, with Yamate to the east, and Kannai to the west, Motomachi district became frequented by many foreigners. Shops and businesses were opened, catering to the needs of foreigners. 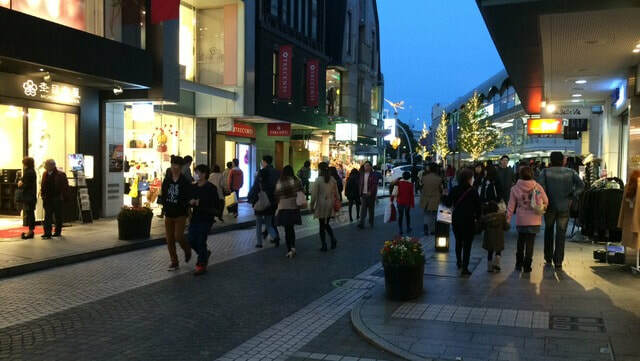 So, below the hills of Yamate Motomachi Shopping Street was born, a five-block long stretch of boutiques and shops, well known in Japan for its cosmopolitan atmosphere, original fashion, and Western influence. ​The street runs parallel to the Nakamura River on the east of Chinatown. ​Nowadays the street does not differ drastically from other shopping streets, but it still has a certain European feel. On weekends and national holidays from 12:00 to 18:00, the street through is closed off to road traffic, allowing people to walk freely. A stroll down the street can be a good way to spend a peaceful afternoon. Visit Tourist Information Center and pick up a map of the area. 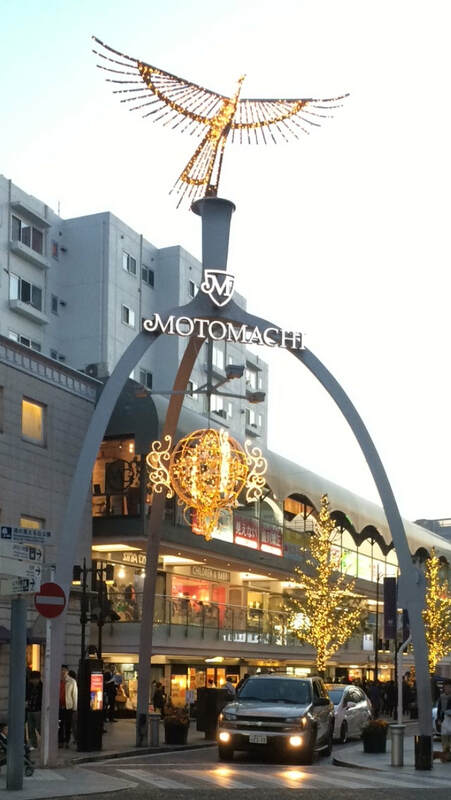 On the northern end of the Motomachi Shopping Street is Motomachi-Chukagai Station which is on the Minato Mirai Line "about 8 minutes from Yokohama Station". On the southern end of the Motomachi Shopping Street is Ishikawacho Station which is on the JR Keihin Tohoku Negishi Line.